The newest offering at Disney Springs has opened its doors in the middle of the landing. 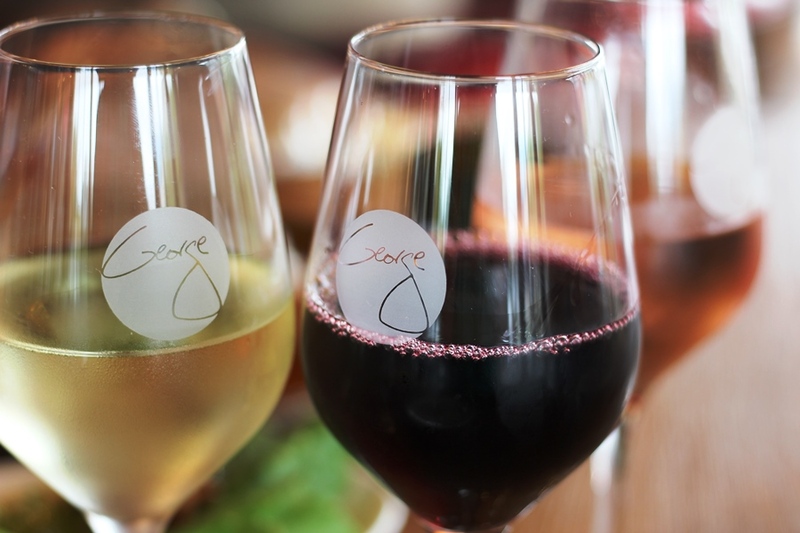 Wine Bar George welcomes guests in with two stories, complete with balcony seating, wine, and an elegant food menu. 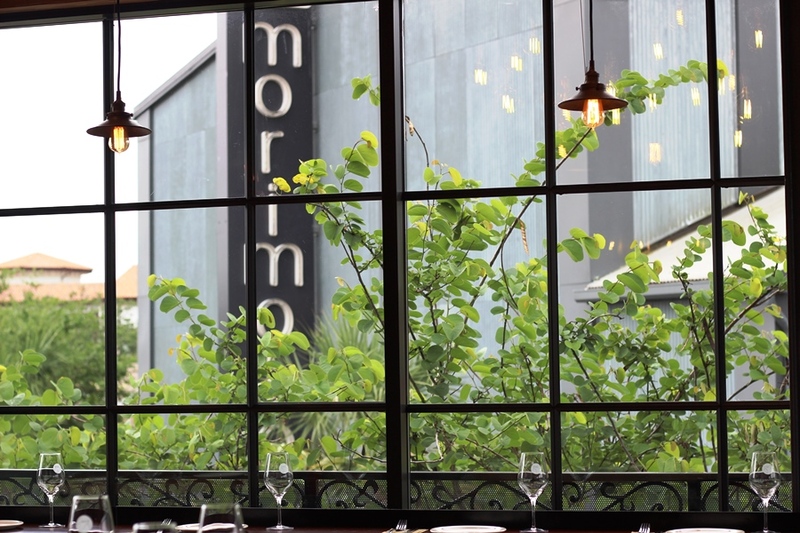 We were lucky enough to be there opening weekend, and gave the menus a thorough run through. Before we starting digging through the wines and food offerings line by line, let’s take some time to flesh out our first impressions. Let’s start with Wine Bar George’s namesake, George Miliotes, himself. We saw him around the restaurant and Disney Springs several times over the opening week, including a warm welcome and fist bump for my wife on her birthday as he opened the restaurant’s doors. George is a familiar face around Disney, as part of the pairing that turned California Grill into a world-class establishment, but his down to earth nature conceals the wisdom and knowledge underneath. George is one of only 249 Master Sommeliers in the world, and is the only Master Sommelier to own their own wine bar in the state of Florida. He is quick to share his knowledge and is a lifelong student of wine, meaning you may not always be able to find him at Wine Bar George as he will be off furthering his education and finding new wines to bring back to your table in Disney Springs. That understated, but wealth of knowledge vibe carries down to the staff throughout Wine Bar George. Even new Cast Members who were still learning the ropes on day two of the restaurant’s opening, were willing to offer recommendations when a wine was unavailable and could speak well on flavors and feels for each wine, and if they couldn’t they were willing to find someone who could! They also took great care to make sure each guest felt at home and had everything they needed at each turn of the meal. The atmosphere of Wine Bar George is also worth noting. Barrel tables with pub chairs, overstuff sofas with coffee tables (or would they be wine tables in this instance? ), counters overlooking the Landing, bars for a more engaged experience, and regular tables, some on the balcony overlooking Lake Buena Vista, were all available for guests. 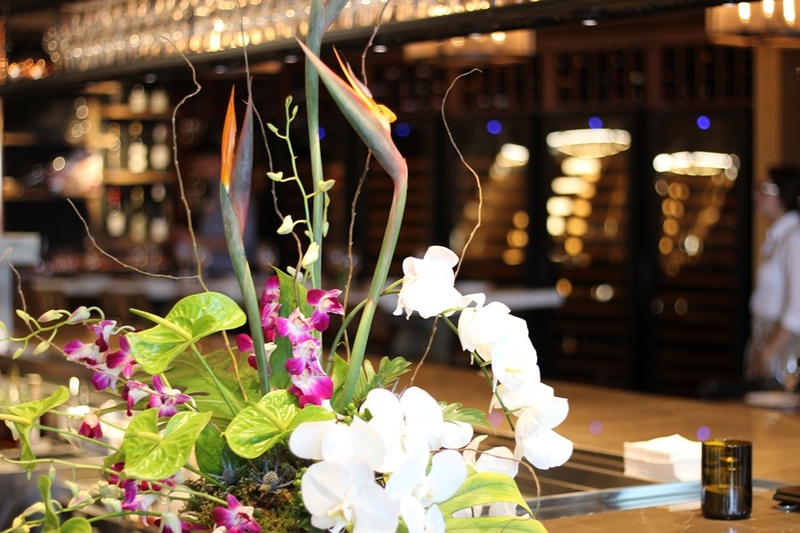 I imagine that an experience in one room would vary greatly from another, while still maintaining the high quality and customer service, depending on what you were looking for in your meal and the time of day you are dining at Wine Bar George. The exposed lights and brick have the warm industrial feel that can be felt throughout this section of Disney Springs. The color palate leans on rich reds, browns, and blacks and feels like you are immersed in the wine and vintner experience. The grapevine door handle at the entrance is also a nice touch. If you are coming to Wine Bar George for something other than wine, you’re doing it wrong. That said, they do offer a selection of cocktails in addition to a vast assortment of wines. I have seen longer wine menus at other venues, but I am hard pressed to think of a wine menu that I’ve seen that curated better. There are a specific section dedicated to George’s Finds and wines on tap, in addition to the larger wine list. Shockingly, George’s Finds tend to be the best available and most popular wines to choose from, and they include some truly wonderful bottles to try. There is something in the cellar for everyone, and my party proved that from ordering wines of vastly different varieties and from all across the globe. With that wide of a selection, and in my limited foray into the menu, I have yet to find a bad sip. Turning the page, let’s talk about the food. Broken down into small plates, boards, family style plates, and desserts, everything on this menu is really meant to be a community experience. We opted for three small plates, the Big Board, and a pair of desserts to get a good sampling of what Wine Bar George’s kitchen had to offer. The food is brought out as it is prepared, not left to warm until everything is ready. While this may throw off your pace while dining there, it means that you are getting the food exactly as it was meant to be eaten. Everything was fresh, from the seafood right on down to the chutneys on the side of the Big Board. We’ll talk about out small plates and desserts on another day, but today we’ll stick with the Big Board. Six cheeses, five meats, and a host of accoutrements, with enough of each to feed however many people you can fit around the table. Probably best for four people, but the more you’re willing the share, the more you get to try! 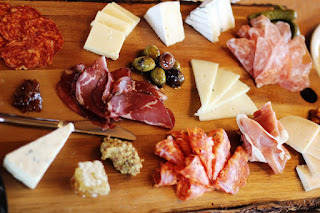 The cheeses definitely run through an assortment from mild to strong flavors and soft to hard textures, the charcuterie similarly run the range of flavors available to them. 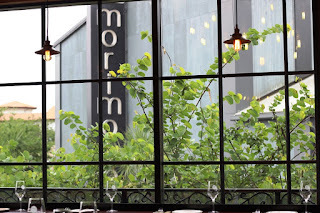 Overall, I was thoroughly impressed with my first dining experience at Wine Bar George, and I couldn’t speak more highly of the place if I tried. This will not be a cheap meal for guests, especially if you want to sample a selection of items across the various menus, but it is well worth taking the time for that special night or lunch out. George Miliotes and his team have delivered a unique and well developed wine bar to the heart of the food theme park, Disney Springs. It was an avenue that I didn’t realize Disney Springs was missing, but now I can’t see the venue without it. What is the price range for a glass/bottle?